After spending around $40 million to try to block a new international bridge downriver of their Ambassador Bridge, the Moroun family issued a statement that said in part "like any family business, we would do it again - and will in different ways - to defend economic freedom and limited government." Now the new bridge moves forward. There’s a lot of arguing lately about building a new bridge to Canada. But this week, one Michigan community is celebrating a milestone for its international bridge. On Halloween, 1962, the International Bridge at Sault Ste. Marie opened. Since then, more than 93 million vehicles have crossed the nearly three mile long bridge. 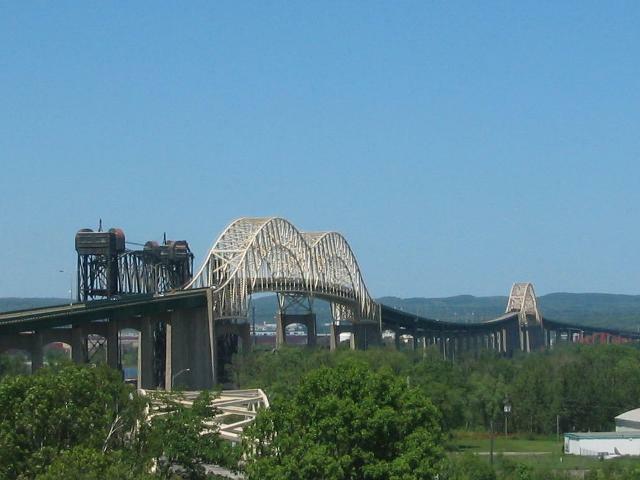 About seven thousand vehicles cross the International Bridge in Sault Ste. Marie on an average day. The bridge is jointly managed by the state of Michigan and the government of Canada. A giant tour bus outside the Grand Rapids hotel where Governor Rick Snyder spoke Monday says it all – vote yes on prop one and no on the rest. Snyder, some business leaders and even an emergency financial manager will be on the bus for the four day tour. They’ll stop in towns throughout the state to discuss the proposals. Governor Snyder says he’s trying to better inform voters about their options. 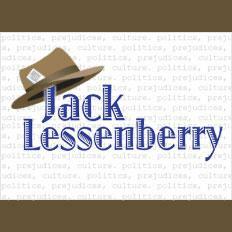 This week Christina Shockley and Jack Lessenberry talked about Proposal 6, how a new report indicates that the Michigan Merit Curriculum that was implemented in high schools in 2006 has not shown good results, and how two campaign staffers of former US Representative Thadeus McCotter will stand trial. They're charged with conspiring to get then-Congressman McCotter on the 2012 ballot with bogus petitions. You might say there was more than usual going on last night. There was the last game of the National League baseball playoffs, in which San Francisco completed a dramatic comeback to take on the Detroit Tigers in the World Series. Meanwhile, on another channel, the Detroit Lions were blowing their Monday night football game. And Barack Obama and Mitt Romney were locked in the final debate of the closest presidential campaign in years, this time arguing about foreign policy and the state of the world. "An effort to improve Michigan’s high school academic standards appears to be having a disappointing result. The Michigan Merit Curriculum was implemented in Michigan high schools in 2006. Researchers from Michigan State University, the University of Michigan and the state of Michigan found that test scores improved only slightly for students entering high school with strong academic skills. 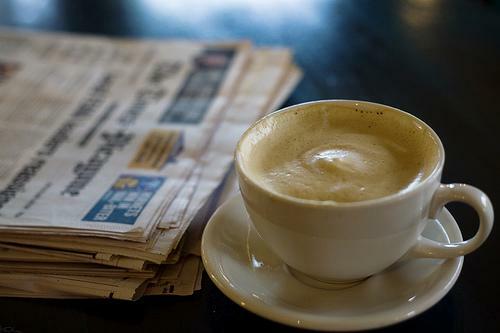 But for those with weak skills, test scores fell and graduation rates declined," Steve Carmody reports. "Governor Rick Snyder is worried Proposal 6 on the November ballot would spark a lengthy court battle if it’s passed. The initiative would require a state-wide vote before any new international crossing could be built in the state. Governor Rick Snyder says his plan for a new international bridge in Detroit is not meant to put the existing Ambassador Bridge out of business. Current bridge owners say a new bridge is not necessary, and would be expensive for Michigan taxpayers. Canada has agreed to front the costs of the new bridge, and a number of studies have concluded there will be no new costs to state taxpayers," Jake Neher reports. "Two men who worked for a Detroit-area congressman are returning to court to learn if they'll stand trial in a campaign scandal. Paul Seewald and Don Yowchuang are charged with conspiring to get then-Congressman Thaddeus McCotter on the 2012 ballot with bogus petitions. The judge says he'll make a decision on the matter today," the AP reports. "Governor Snyder will hold a town hall meeting with members of the Canada-United States Business Association in Detroit today. He’ll be stressing the need for a new Detroit-Windsor bridge—and for voters to reject Proposal 6. Proposal 6 would require voter approval for any new international bridges or tunnels for motor vehicles,” Sarah Cwiek reports. "People living in West Michigan will have two opportunities early this week to learn about and discuss the so-called 25 by 25 ballot proposal. If voters pass Proposal 3, utility companies in Michigan would have to get 25-percent of their energy from renewable sources like wind and solar. There’s a panel discussion tonight with people for and against Proposal 3. It’s at the Michigan Alternative and Renewable Energy Center in Muskegon. Tomorrow morning in Grand Rapids the President of the Union of Concerned Scientists will travel from Massachusetts to join west Michigan business leaders in favor of Proposal 3," Lindsey Smith reports. "Michigan lawmakers are looking at a plan that would increase the minimum retirement age for public school employees. The current retirement age is 60. But some people want to index the retirement age according to life expectancy, which would be determined every year. Mark Guastella is with the Michigan Association of Retired School Personnel. He says the system paid more than $700 million in benefits last year to people who outlived their life expectancy," Rina Miller reports. "A ballot proposal meant to stall a new international bridge in Detroit could cost Michigan taxpayers tens of millions of dollars. That’s according to a report from the Senate Fiscal Agency. Proposal 6 would require a public vote on any new international bridge or tunnel. The report says it would cost the state nearly $10.5 million to hold a special election on a new crossing. On top of that, researchers say tens of millions of dollars in infrastructure funding could also be in jeopardy," Jake Neher reports. "The American Civil Liberties Union is suing Morgan Stanley on behalf of five Detroit homeowners. The group says Morgan Stanley violated federal anti-discrimination laws by encouraging a now-defunct sub-prime mortgage lender to make risky loans in predominantly black neighborhoods. The lawsuit was filed in a New York federal court, and seeks class-action status," Sarah Cwiek reports. "Congressman John Dingell says it will take time to figure out the right response to a meningitis outbreak caused by tainted steroids. But he's urging Congress to take action and ensure the same thing never happens again. Dingell says right now, the Food and Drug Administration lacks the authority to regulate the company that made the contaminated medicine -- which has killed 15 people so far," Chris Zollars reports. Proposal 6 was introduced by the owner of Detroit's Ambassador Bridge as a direct reply to the proposed New International Trade Crossing (NITC). The new bridge was first proposed in 2004, after a long-term study highlighting the need for a new crossing was commissioned by the Border Transportation Partnership--a coalition of Canadian and American transportation authorities. It would be sited two miles south of the Ambassador Bridge and would connect directly to the Canadian highway. Commentary: Time to step up against Proposal 5 and 6? Ballot Proposal 5, which would require a two-thirds vote of the legislature or a statewide vote of the people to raise any taxes, would be an absolute disaster for Michigan. It would cripple our ability to change with the times, respond to crises or make infrastructure improvements necessary to attract new business. One of the proposed constitutional amendments on the Michigan ballot this fall would require a statewide vote before state money could be spent on any “new international bridges or tunnels for motor vehicles” could be built in Michigan. The amendment would require the vote even before any tax money could be spent planning an international crossing. This would effectively stop the New International Trade Crossing between Detroit and Windsor. The effort is funded by the family that owns the Ambassador bridge. Governor Snyder is pushing for a new $2 billion bridge from Detroit to Canada. 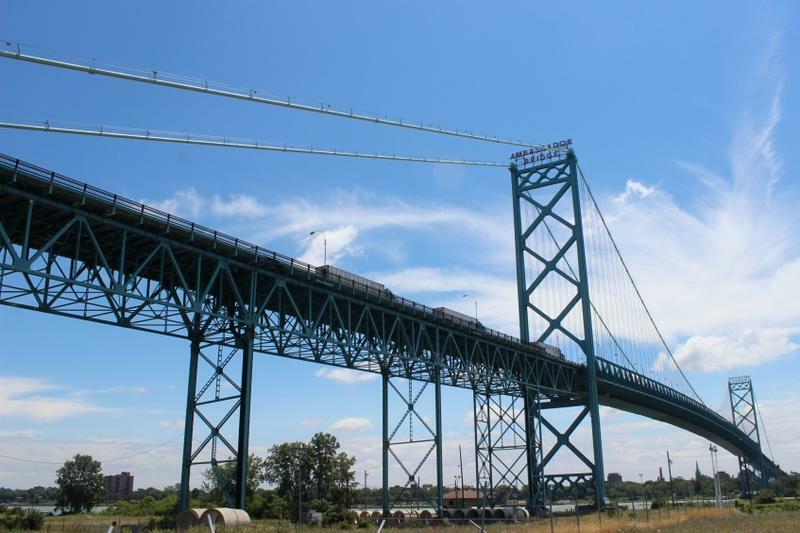 The owners of the 83-year-old Ambassador Bridge are fighting to stop that new bridge. The latest move is to get a constitutional amendment calling for a vote of the people before building any new bridge to cross the border. That will give the company another avenue to delay or stop the new bridge from being built. The arguments for and against building a new bridge to Canada at Detroit, for the most part, have been pretty one-sided. The owners of the Ambassador Bridge are fighting it and spending tons of money in TV ads. If you watch TV at all, you’ve probably seen one of the Ambassador Bridge-sponsored ads criticizing plans for a new bridge. There’s been a lot of confusion about how much a new bridge across the Canadian border at Detroit might cost taxpayers. 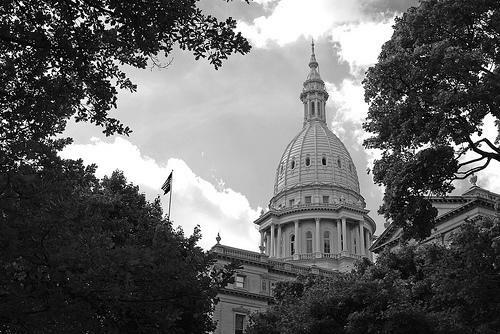 TV ads say it will cost Michigan taxpayers $100 million a year. The governor says it will cost Michigan nothing. Michigan Governor Rick Snyder says we need a new bridge to Canada. It will mean more trade and more and better jobs. Not everyone agrees, especially the owners of the single bridge in Detroit which connects Michigan to Canada. Eight thousand trucks a day cross the Ambassador Bridge between Detroit and Windsor, Ontario.